Summary: Growing up near Kennedy Space Center, the son of a NASA engineer, Ken Nedimyer was surrounded by science. Ken loved science, too, but he was more interested in the ocean, enjoying TV shows featuring Jacques Cousteau and exploring the coral reefs off the Florida Keys. As he got older, though, Ken was saddened to see the coral reefs dying. As an adult, he owned a live rock farm, a business where he sold rocks covered with invertebrates like mollusks and sponges to keep saltwater aquariums healthy. When he found coral growing on his rocks, he experimented with gluing them onto undersea rocks where the coral reefs used to be. The success of this experiment led to a group called the Coral Restoration Foundation that has restored some of the reefs in the Keys and is now spreading its message around the world. Includes additional resources, vocabulary, and some ways kids can help. 48 pages; grades 1-4. 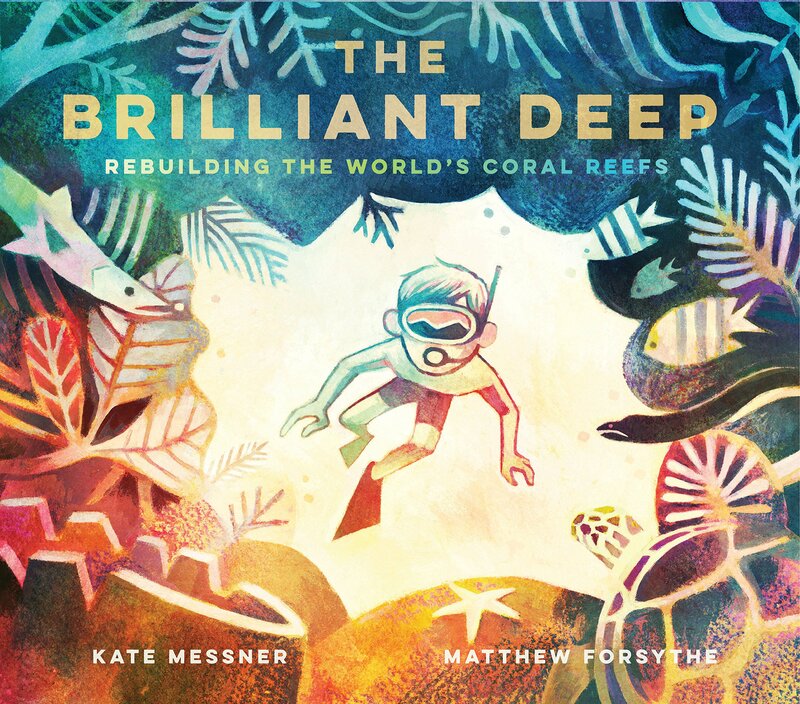 Pros: An inspiring story of one person making a big difference in the world, illustrated with beautiful pastels that capture the subtle colors of the coral reefs. Cons: Saving the coral reef seemed to be no more difficult than a simple craft project.